OK, let’s assume those odds are true. Now, let’s assume there are exactly 7,000,000,000 humans on the planet at this moment. If the odds of being eaten by a shark are 1 in 3,748,067, that means of all the humans currently alive, 1,867 of them will be eaten by a shark. And that scares me more than the odds of trying to factor how humans are or aren’t responsible for climate change. Frankly, I’m in favor of NOT using “eaten by a shark” anymore to underscore the odds of anything. 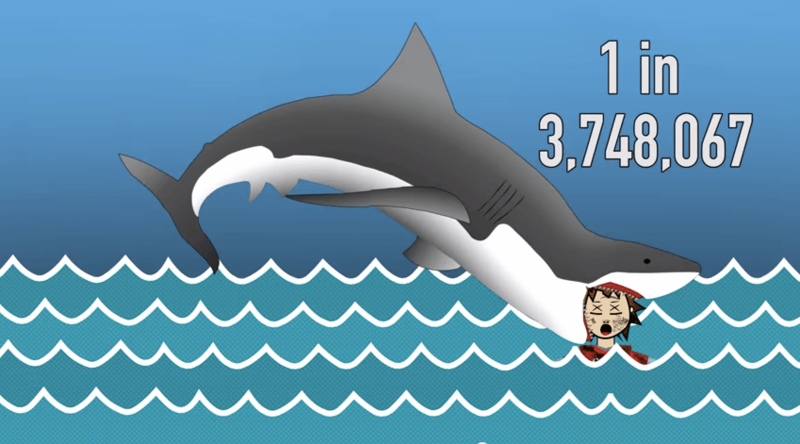 Because ultimately the odds imply someone getting eaten by a shark!